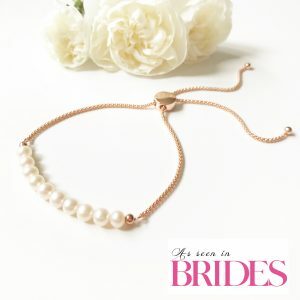 This freshwater pearl and rose gold bracelet is the ultimate in luxury bridal wear. 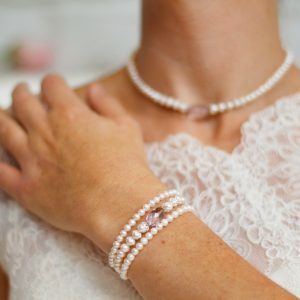 The bridal bracelet is elegant and easy to wear, the adjustable clasps easily slides down, so can accommodate any wrist size. 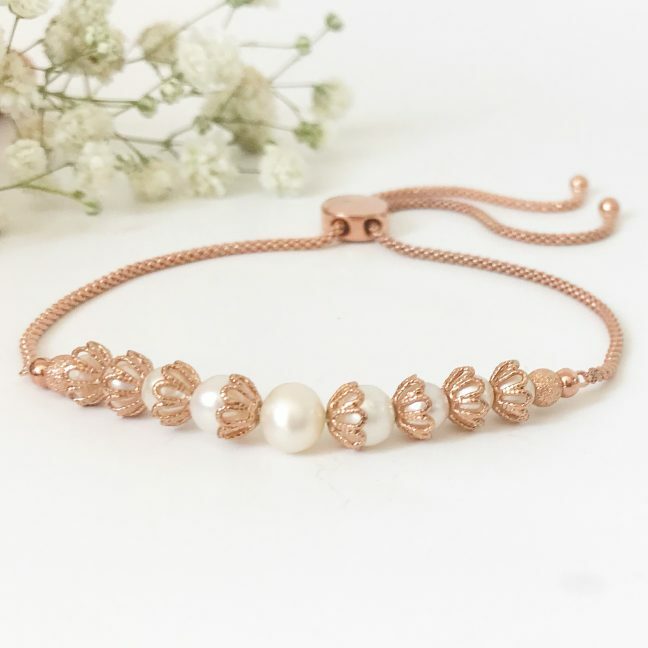 The rose gold filigree cups surround the pearls adding a touch of sparkle. 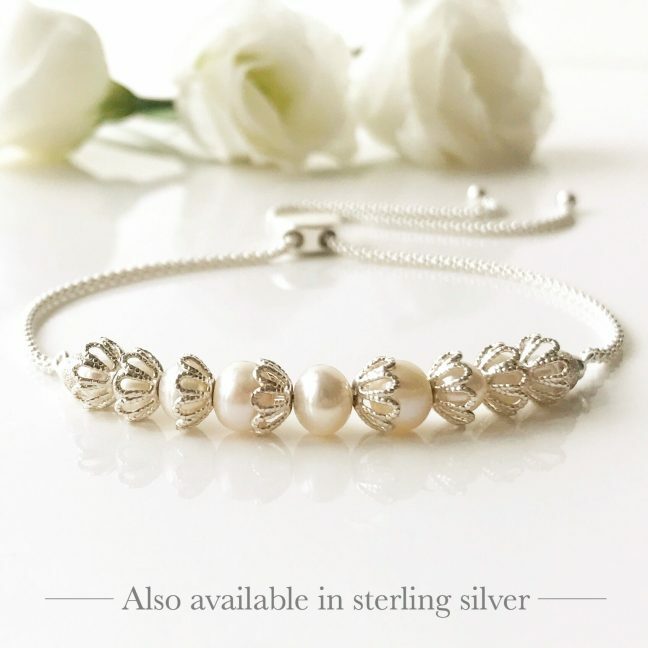 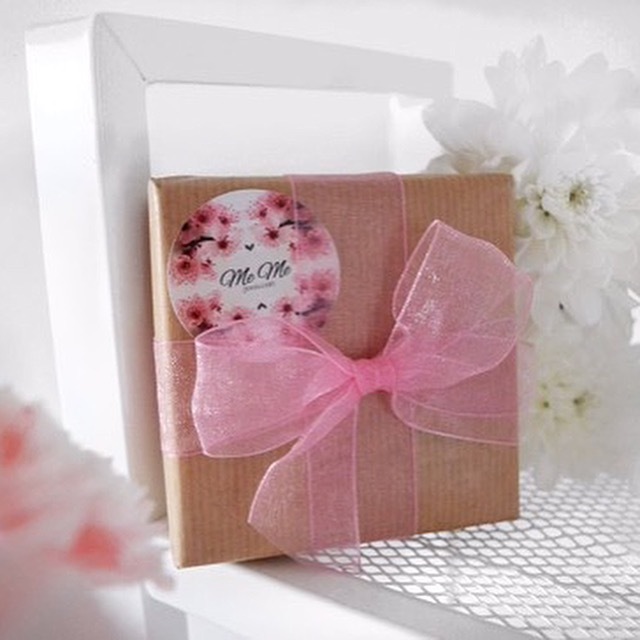 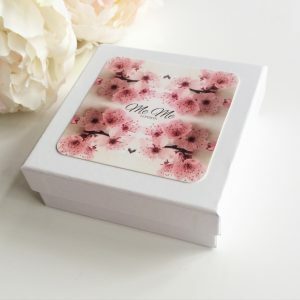 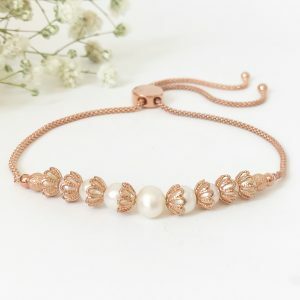 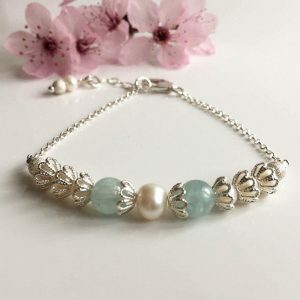 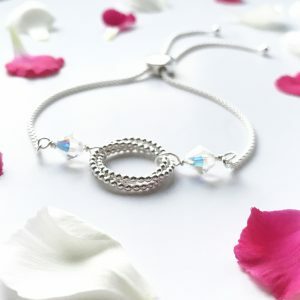 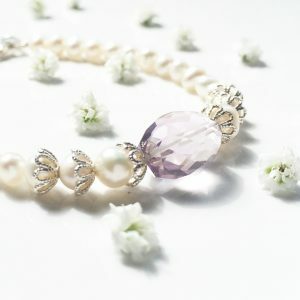 Alternatively, why not give it as a bridesmaid gift that can be worn as a bridesmaid bracelet and loved time and time again after your big day. 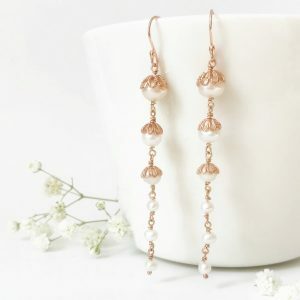 So, perfect as you do not need to worry about size. Rose gold has been the metal of choice for many years now, therefore making the bracelet extremely on trend. The bracelet is the perfect addition to any jewellery or pearl lovers collection.